Passionate local chefs, brewers and creative types have teamed up to guide the Raleigh area through a foodie renaissance, bringing you delicious, unique and approachable culinary experiences. These food and drink events blossom just in time for beautiful spring weather—save these dates (and come hungry!). Hundreds of wines from more than 22 N.C. wineries will be on hand at one of the region&apos;s biggest wine festivals, where you can taste and sample to your heart&apos;s content (plus enjoy live music, food, arts and more!). Pro tip: Bring your lawn chairs and blankets to relax on the grounds at Cary&apos;s beautiful Koka Booth Amphitheatre. Held at Bond Brothers Beer Company in Cary, this free-admission festival features food trucks, local artists, live music and, of course, Bond Brothers&apos; award-winning brews (new releases and special casks included!). Kids and leashed dogs are welcome at the brewery but heads up—this event will draw a big crowd! The 21st annual Lebanese Festival in downtown Raleigh promises non-stop dancing and musical performances to go along with Lebanese desserts, beer, wine and more (including all the belly dancing you can handle!). 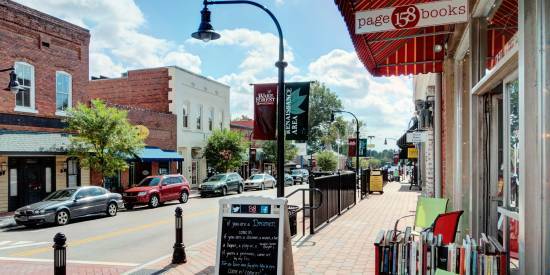 Enjoy a food-filled afternoon in downtown Cary. 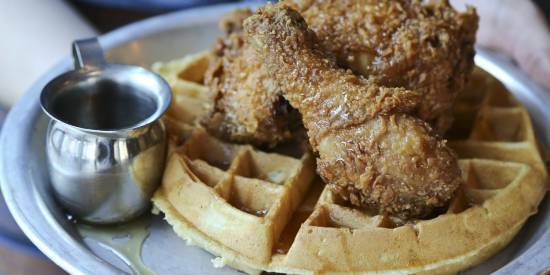 Taste some of the area&apos;s best food (barbecue, burgers, beignets and more! ), enjoy cool beverages from craft beer and wine vendors and relax to the music of great local performers. More than 30 total vendors will be on hand—see you there! Celebrating 10 years of "Ales for Outlaws," Lonerider Brewing Company&apos;s 10th anniversary celebration at The Hideout will feature special beers poured all day long, limited edition bottle releases, food trucks, vendors and more. VIP ticket holders will also get a behind-the-scenes tour of the brewery and an extra special swag bag! Tasty seafood, jazzy music and artists in action highlight this fun-filled day of French immersion at Raleigh&apos;s European-esque Lafayette Village. What could be finer than a jam-packed day of drool-worthy barbecue from The Pit, plenty of local brews and toe-tappin&apos; bluegrass music in downtown Raleigh&apos;s Warehouse District? N.C.&apos;s largest craft beer festival—featuring 100 breweries, 50 food trucks and drawing 30,000 people—takes over downtown Raleigh for two days each April. The festival, which has free admission on Sat. (so bring plenty of friends! ), allows you to purchase either beer samples or full pints from breweries located across the state. But don&apos;t just take it from us—Brewgaloo was just voted best beer festival in America in USA TODAY&apos;s 10Best Readers&apos; Choice Awards! Food trucks and local breweries will be on hand for Brew &apos;n&apos; Choo, a series of family-friendly events at the North Carolina Railway Museum & New Hope Valley Railway that offers the rare opportunity to take a one-hour train ride through the woods (food and beverages allowed on the train!) and/or a 45-minute walking tour of the railway and museum. 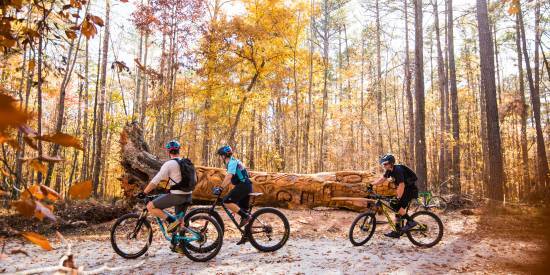 Celebrate Cary&apos;s rural past at this day filled with food trucks, local breweries, pie eating contests, kids activities, live music and more. Empty plates, full bellies and a satisfied crowd is a sure thing, plus festival-goers will head home with souvenir beer cups! Food trucks as far as you can see (literally!). The Downtown Raleigh Food Truck Rodeo brings more than 50 food trucks to the city center, spanning a half-mile and 11 city blocks and drawing thousands of hungry visitors to taste the best of the best from local trucks. It&apos;s one of the biggest rodeos in the country! A two-day event featuring 50 of the area&apos;s top chefs and restaurants, Thrive NC is a two-day food and drink festival in downtown Raleigh&apos;s City Market that features 60 of the area&apos;s best restaurants serving unlimited food and drink samples (plus live entertainment, chef demonstrations and more). Putting the best of N.C. food and beverage on display, the Got to Be NC Festival offers tons of eating opportunities, live music, a huge collection of antique tractors, a carnival for children and more activities (plus free parking and admission) at the North Carolina State Fairgrounds. The sweetest event of Memorial Day weekend, NC Sugar Rush is an all-dessert food truck rodeo held at Raleigh&apos;s City Market. More than 20 vendors—offering a range of goodies from cotton candy to cupcakes to cherry pies—will be on hand, along with face painters, balloon artists and more to keep the kids entertained. A week-long celebration of culinary excellence, Triangle Restaurant Week sees some of the area&apos;s best restaurants offer up special, three-course menu options at fixed pricing ($15 for lunch, and $20, $25 or $30 for dinner), a great opportunity for residents and visitors alike to return to an old favorite dining spot or discover a new one. 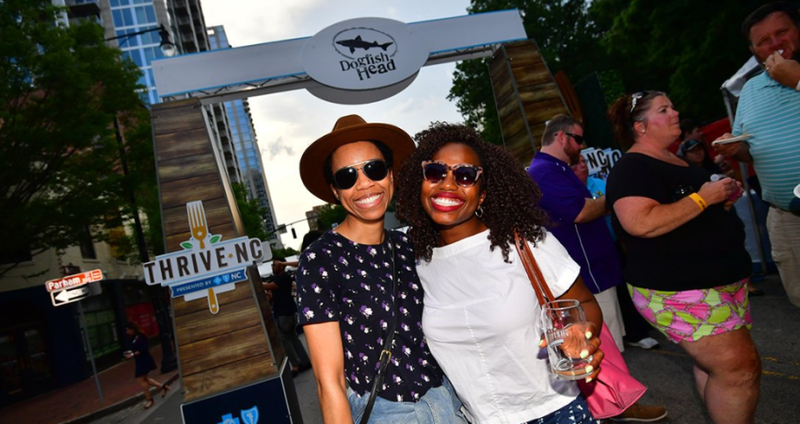 Celebrate Raleigh&apos;s diverse community and welcoming spirit by trying food, beer and wine (plus listen to live music and see more entertainment) from around the world. Nearly 20,000 attendees are expected in downtown Raleigh&apos;s City Plaza for the event. Live music, a beer garden, a barbecue competition (sanctioned by the Kansas City Barbecue Society) and more make for one of Apex&apos;s tastiest events of the year. Beer sipping, bourbon tasting, music listening and barbecue eating—what&apos;s not to love? Don&apos;t miss the two-day Beer, Bourbon and BBQ Festival at Cary&apos;s Koka Booth Amphitheatre. Admission buys you a souvenir sampling glass so you can enjoy an all-you-care-to-taste sampling of beer and bourbon, plus chow down on some pulled pork, ribs, biscuit and more, all while enjoying all-day live music. An eight-day celebration of "America&apos;s smartest beer-drinking city," Raleigh Beer Week highlights the area&apos;s diverse beer scene with an array of beer dinners, bottle shop events, special beer releases, major events and festivals at breweries and bars across Raleigh, N.C. Dates for 2019 will be posted soon! This fast-growing beer and music festival held at beautiful Jefferson L. Sugg Farm brings together more than 70 breweries (including most of the nearly 30 craft beverage brewers in the Raleigh area) and more than 20 food trucks, along with a full lineup of Americana jams, to celebrate good friends, good beer and good times in Holly Springs. This fourth annual event at Lafayette Village gets bigger and better every year. Taste local and regional chocolates and cheeses paired with a variety of wines from across the world (including some local favorites). Sit, sample and listen to live music, shop local vendors and take home a souvenir wine glass at the end of the day. The largest annual event in the state, the North Carolina State Fair draws one million visitors through the gates each Oct., marking what many consider to be the unofficial beginning of the fall season. Eleven days of high-flying rides, deep-fried foods, live music, stunt shows and other entertainment (including nightly fireworks) has been a can&apos;t-miss event for generations of families—the 2019 version of the North Carolina State Fair marks the 152nd year of the event! Sip and savor chardonnays, merlots, scuppernongs and more while you meet and greet the fascinating people who are forging N.C.&apos;s reputation for quality wines. Enjoy delicious food, shop local businesses and purchase wines you like by the bottle and case, all while listening to three awesome bands (Rayland Baxter, The Shakedown Band and The Brent Stimmel Band) strumming along on main stage at Coastal Credit Union Midtown Park. Sample delicious barbecue, savor a unique selection of locally brewed beer and enjoy live music in the heart of Fuquay-Varina.